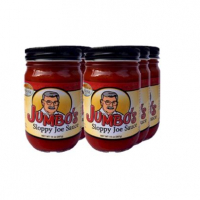 What’s better than a jar of Jumbo’s Original Sloppy Joe Sauce or Jumbo’s Jalapeno Sloppy Joe Sauce? 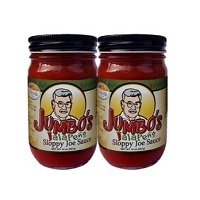 TWO jars of Jumbo’s Original Sloppy Joe Sauce or Jumbo’s Jalapeno Sloppy Joe Sauce! Double up on your favorite flavors by ordering two at a time. 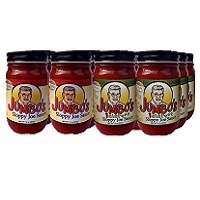 Available in Original, Jalapeno or a combination. However you want to order, we’ll pack and ship just for you! 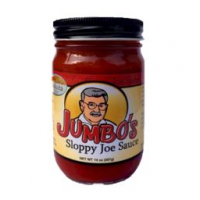 Once you check out, get your taste buds and your tummy ready for some good old-fashioned Jumbo’s deliciousness. Delivered to your home and ready for you to cook up, throw on a bun and enjoy. Want to try something new? 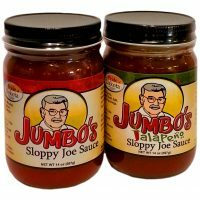 Check out our recipes page at https://jumbossloppyjoe.com/recipes/ for some additional great ideas. *If you would like a mix of our regular and jalapeno flavors, please make a note in the checkout area in shipping and we will accommodate you!